The Trade Union Act (2016) has been a controversial piece of legislation and did not have a smooth passage through parliament. The draft regulations are set to come into force on 1st March 2017. “a significant, unnecessary and unjustified intrusion by the State into the freedom of association and assembly of trade union members, undermine the right to private and family life, and jeopardise the UK’s important history of supporting peaceful protest” (p.3). This indicates there is a profound effect, this paper examines the impact of the act on employers and the employees. Brodies (2016) identifies numerous substantive changes contained within the act. These include changes to the way in which balloting takes place and voting is counted, the notice required for industrial action, and the timescale within which industrial action may take place, changes to the check off system which connects union subscriptions direct from payroll, changes to donations to political funds, facility time, and increase statutory powers to the picketing code of conduct, and changes regarding the use of agency workers during industrial action. These different elements can be considered individually. The changes have impacted the way balloting takes place, these increase the requirements on the union, and make it harder to obtain a vote in favour of taking action. Before the vote takes place the ballots should be prepared with the information on the paper including a clear destitution of the dispute itself, as well as details of the industrial action that is planned (Moss, 2016, Trade Union Act 2016). In the past there was only a requirement for trade unions to ask union members whether or not they wanted to take action and express delivery should be strike action, or action short of strike action, without being prescriptive. It is argued by the government this will increase transparency, allowing workers to know what they are voting for, but does increase the requirements of the trade union (Liberty, 2015). There are changes in the way a vote for action is acceptable. Prior to the change, the bar was straightforward; the majority of those voting to vote in favour of action. Now, for the results of any ballot to be actionable, at least 50% of those entitled to vote must have participated and a majority must vote for action to be taken (Trade Union Act 2016). This may be seen as raising the bar; many unions will have members eligible to vote who may not participate. If the dispute concerns employees ‘normally engaged’ in ‘important public services’, for example education, fire services, health and transport, the bar is raised further, with at least 40% of those eligible to vote, voting in favour of action (Brodies, 2016, Trade Union Act 2016). This latter requirement may also be argued as a double standard, as the government itself may be seen as an essential public service. Under these requirements, the conservative party would not have gained power in the last election; moreover, since the end of the Second World War there has only been one election where the winning party managed to obtain 40% of the popular vote, which was the 1951 election where the Labour Party won (Warwick, 2015). In the last election, out of the 330 Conservative MPs, 274 did not manage to gain the support of 40% of their electorate (Warwick, 2015). Likewise, when Boris Johnson stood as Mayor of London, he failed to obtain 40% of the total electorate (Warwick, 2015). Therefore, it may be argued that this requirement has been incorporated in order to minimise the potential for employees to vote for industrial action. For trade unions, this means the organisations will need to encourage increased participation in boats, with absence effectively being a vote against action. The implication here is a greater need for unions to reach out and communicate with all eligible voting members, even moving towards marketing campaigns to encourage voting, even before looking at the issues. Theoretically, a 100% vote for action by those participating in a ballot may not to be actionable, if they did not make up 50% of the eligible electorate. This change clearly benefits employers, as they are less likely to face an actionable vote. Likewise, to avoid a vote in favour of action, employers no longer need to persuade employees to vote against action, they can simply encourage them to abstain. The law now creates a bias, where staying votes are effectively cast against strike action (Ewing and Hendry, 2016). The requirements regarding the way industrial action is taken have also changed. Prior to the act, unions were obliged to give employers seven days’ notice of action, this has now increased to a default of 14 days, with the exception of seven days where the employer agrees that this is sufficient notice (Trade Union Act 2016). Once a vote had taken place, under the old statutes, union action had to take place within four weeks, or eight weeks with the employer’s permission, but action could then be taken indefinitely at any time based on the ballot results, as long as the dispute is continuing. However, this is no longer the case, with the new act allowing the mandate to expire after six months, with the exception where employers agree allowing it to last up to 9 months, after which time the union will need to seek a new ballot (Trade Union Act 2016). This expiry of the ballot means that unions are unable to take action based on historic ballots, effectively limiting the potential period for future action. For the trade unions there is a curtailment of their ability to use past mandates, which may be a significant constraint. There are also arguments that historic ballots in favour of action may not always reflect the current views of the members, and there is a potential to abuse historic mandates granted through a ballot. It is known where action is undertaken a significant period after the initial ballot, there may be less commitment by the employees towards the action as the initial feelings may have subsided (Wrigley, 2012). However this is viewed, it increases the pressure on trade unions, with the expiry of mandates, and may also provide barriers as there are always costs associated with a new ballot taking place. The act also mandates that the government should commission an independent review to consider the potential for electronic balloting (Trade Union Act 2016). In the past there have been pressures to implement electronic balloting, as a way of increasing the potential vote, and reducing barriers to eligible members. With the requirements for at least 50% of the eligible members to participate in a vote for it to be binding, and 40% to vote in favour of action in essential public service organisations, it may be argued that the ability to restrict or place barriers to members voting benefits the employer. Therefore, it is notable that while there is a commitment to commission an independent report onto electronic voting, the act does not provide for any commitment to implement this balloting process. This, once again, appears to favour the employer over the trade union. Check-off is a process through which trade union memberships are paid through a deduction administered by a company’s payroll (Bowers, Duggan and Reade, 2011). Under the new act, employers that are either in the public sector, or in the private sector providing some public services, union subscription may only be deducted from wages if two criteria are satisfied; that the union members are granted an option to pay their subscriptions by another method, for example direct debit, and that the union themselves contribute towards the cost of administering the system which deducts the fees from the wages (Trade Union Act 2016; Brodies, 2016). The payments made by the union to cover the payroll costs need to be seen as “reasonable”, equal to the amount of public funds which would be spent administering those deductions (Trade Union Act 2016). This increases the cost to the trade union for collecting the fees, this move effectively forces trade unions set up alternative pay arrangements. This may be argued as impacting on trade unions, as there is a greater potential for those who pay by direct debit to default on their union membership as a direct debit is more likely to be defaulted compared to a wage deduction (Booth, 1995). Reduced union membership will reduce the power of the unions (Laybourn, 1997). Many unions traditionally supported the Labour Party, the new act requires a more transparent approach to be adopted towards the way unions pay into political funds (Taylor-Gooby, 2016). New members are to be provided a greater level of access to information regarding political funds, and information concerning the way a union member may opt out of political fund donations have to be provided on an annual basis (Trade Union Act 2016). This increases the obligations of trade unions, and creates a new bureaucratic process which has to be undertaken on an annual basis, incurring costs, potentially reducing political donations. On the surface, this may be seen as a reasonable move to empower union members, and allow them to exercise individualised decision-making. However, the political situation should be considered in the context of this apparent empowerment of union members. The majority of unions support the Labour Party, and the act was introduced by a Conservative government. ` Therefore, the act incorporated measures that could be interpreted as the Conservative party hindering the Labour Party by reducing the potential to access funds from unions. Therefore, as well as incurring costs for unions regarding administrative processes, this measure also has the potential to reduce the amount of money the unions pay to the Labour Party; the Labour Party which has traditionally supported trade union rights. Effectively, the move may be seen as undermining trade union power. In addition to providing increased opportunities for individuals to opt out of making political contributions, the act also created a default position where proactive permission to be granted, with any agreements made by union members to support the political donations lapsing after a period of five years. This places a proactive requirement on members, may further reduce the funds received by Labour from the unions. It is well known in many different areas where contributions are collected, opt in schemes generate fewer contributions, and lower levels of funds compared to opt out schemes (Booth, 1995). Where there has been a vote for action, picketing can only take place if it was detailed on the ballot as a course of action. The law has tightened regarding picketing, placing elements which were previously under a code of practice into the statute. A major change is requirement for the appointment of a supervisor wherever picketing occurs. The supervisor should be familiar with the code of practice on picketing, and the police must be informed on the identity of the supervisor, along with details on where the picketing is going to take place, and how the supervisor can be contacted (Trade Union Act 2016). The supervisor must be present at the picket, or should be available to attend the picket at short notice. An important element of this change is a shift of responsibility, the ultimate responsibility for any disorder which occurs at the picket has now been shifted to the union, increasing their responsibility (Ewing and Hendy, 2016). There are also additional rights granted to employers, if the picketers breach the code of conduct for picketing the employers are now within their rights to take out injunctions or seek damages from the union for the breach of these rules (Brodies, 2016). A notable inclusion is the empowerment of the government to issue regulations that will place restrictions on the amount of facility time allowed with particular employers (Trade Union Act 2016). The government’s claim for this measure is the increased transparency that it will provide, and the ability to implement measures that are required to constrain costs, especially at times of austerity. This constraint may be popular in terms of approaches to the management of the public purse, constraining what may be seen as unnecessary cost, especially to members of the public outside the organisation (Lane, 2017). It may also be argued that government need to manage costs in an effective manner when seeking to reduce government deficits (Bracci, Humphrey, Moll and Steccolini, 2015). However, it is notable that this has a direct impact on weakening the power of the unions, by reducing the amount of time and resources which may be undertaken to support their activities. This will impact on unions by increasing pressure on more limited resources, may force union officials to working unpaid capacity, and may also limit the way in which services can be provided to the members. The employers, there is the potential to reduce costs, as well as reduce the influence union have on the members due to their lower ability to operate. This measure is also notable, as while new regulations have not been introduced to restrict facility time, it is a sweeping power granted to the government, and maybe use extensively in the future. Other changes include new powers to be granted to the certification officer to allow them a greater level of power when investigating trade unions for potential breaches of their statutory duties, as well as increasing the powers to take action against those trade unions (Trade Union Act 2016). Other changes which were proposed, but have been abandoned, include the reinstatement of regulations that will allow employers to take on agency staff at the time of strike. Notably, this act covers the entire United Kingdom, including Scotland and Wales, as trade union law is not devolved (Brodies, 2016). Members of Parliament and both Scotland and Wales were highly vocal against this act, but it was still past. Overall, the act may be seen as creating a much stronger bias in shifting the power away from unions towards employees. During the early days of unions, their power resided with their ability to represent their members, and redress the asymmetry of power which has existed between employees and employers; where an employer was able to exert a high level of power, including unfair treatment (Laybourn, 1997). The formation of trade unions, especially the beginning of the 20th century, redress this issue, and may be credited with adjustments in power in the employee/employer relationship and the development of statutory requirements to protect employees rights. However, the power of the unions has been subsided from some time, particularly following the long coalmine strikes during the 1970s, which were highly unpopular with the public (Laybourn, 1997). The 2016 act makes a significant changes, and moves very strongly away from powers of the union, biasing the relationship towards employees. Within any workplace, maybe argued that an employer is always in a position of strength, they have the ability to hire and fire employees, set terms and conditions, and dictate the way in which the employment relationship operates. The employers are required to abide by the law, whether it is health and safety, terms and conditions, or minimum payment issues and hours, but the way this is enforced is through the employer undertaking a wrong action, which is then questioned by the employee. While unions are powerful, and there is an ability for the group voice to be used to support their rights, employees have a greater level of power. By reducing the powers of the trade unions, the act is reducing the powers of the unions in a number of ways, increasing burdens in terms of administration, operations and costs, while reducing their ability to access resources. By examining the way in which the new act may impact on a past dispute, there is a clear indication of the impact on both the employer and the trade union. McFarlane (2016) uses the example of the RMT’s dispute with Virgin in 2016. The dispute between the RMT and virgin resulted in a vote where 80% of those who participated voted yes to the strike, but that vote, despite this apparent high level of approval for industrial action, could have been challenged by the employer under the new act. Given the situation of the RMT, the employer would have been able to argue that if fewer than 900 members a taxi taken part in the vote, the vote would not be valid, as the union had 1800 eligible voting members, so the vote would have failed on the 50% rule (McFarlane, 2016). Likewise, if the vote had less than 720 members voting in favour of undertaken strike action, there would also have been an inability for the action to take place, as virgin trains is a public transport organisation and classified as an essential service, so would need to meet the 40% threshold of membership voting for action (McFarlane, 2016). By examining this is possible see the difficulties, and the increased pressures that will be placed on trade unions to garner sufficient support, especially when many members may be ambivalent to the potential action if they have no direct interest in it. Conversely, this case clearly demonstrates the way in which Virgin Trains may have benefited from the new act if it had been in place during their dispute, as it would have been much less likely they would have faced industrial action, and there were also legal approaches which could be adopted to try avoid industrial action, or simply use court action as a way of delaying it. The criticism of this is not only the increased difficulty, but the way in which it may be argued as contravening the European Convention on Human Rights (McFarlane, 2016). The European Convention on Human Rights, particularly article 11, are relevant to this, as this requires freedom of association, and places a positive obligation on the UK government. It is notable that complaints have already been lodged with the International Labour Organisation, as well as the Parliamentary Joint Committee on Human Rights (Ewing and Hendy, 2016). Overall, there is a shift in power from trade unions towards employees, and a shift in the burdens associated with administering and supporting union workers away from employers towards the trade unions. It is highly likely that under the new measures there will be far fewer official industrial action is taking place, while trade unions will also face increased costs associated with the ongoing operations. Trade unions may find they need to undertake more aggressive marketing and demonstrate the way in which they can work for their members, while employers may simply choose to encourage non-union membership, and ambivalence towards voting. Booth, A.L., 1995. The Economics of the Trade Union. Cambridge: Cambridge University Press. Bowers, J.,, Duggan, M., and Reade, D., 2011. The Law of Industrial Action and Trade Union Recognition. Oxford: Oxford University Press. Bracci, E.,, Humphrey, C.,, Moll, J., and Steccolini, I., 2015. Public sector accounting, accountability and austerity: more than balancing the books? Accounting, Auditing & Accountability Journal, 28(6), pp.878–908. Brodies, 2016. The Trade Union Act 2016: what is changing? [online] Available at: <http://www.brodies.com/blog/trade-union-act-2016-changing/>. Ewing, K.D., and Hendry, J., 2016. The Eclipse of the Rule of Law? : Trade Union Rights and the EU. [online] Liverpool. Available at: <http://www.ier.org.uk/sites/ier.org.uk/files/The Eclipse of the Rule of Law Trade Union Rights and the EU 2016.pdf>. Ewing, K.D., and Hendy, J., 2016. The Trade Union Act 2016 and the Failure of Human Rights. Industrial Law Journal, 45(3), pp.391–422. Lane, J., 2017. The Threat to Facility Time in the Trade Union Act 2016—A Necessary Austerity Measure? Industrial Law Journal, 46(1), pp.134–143. Laybourn, K., 1997. A History of British Trade Unionism, c.1770-1990. London: Sutton Publishing. Liberty, 2015. Liberty’s briefing on the Trade Union Bill for Second Reading in the House of Lords. [online] London. Available at: <https://www.liberty-human-rights.org.uk/sites/default/files/Liberty%27s briefing on the Trade Union Bill for Second Reading in the House of Lords_1.pdf>. Liberty, 2016. Campaigning on the Trade Union Act 2016. [online] Available at: <https://www.liberty-human-rights.org.uk/campaigning/trade-union-act-2016>. McFarlane, P., 2016. How the Trade Union Act 2016 will change the rules on industrial action. People Management. [online] Available at: <http://www2.cipd.co.uk/pm/peoplemanagement/b/weblog/archive/2016/10/10/how-the-trade-union-act-2016-will-change-the-rules-on-industrial-action.aspx>. Moss, R., 2016. Trade Union Act 2016 becomes law. Personnel Today. [online] Available at: <http://www.personneltoday.com/hr/trade-union-act-2016-becomes-law/>. Taylor-Gooby, P., 2016. The Divisive Welfare State. Social Policy Administration, 50(6), pp.712–733. Trade Union Act 2016. [online] Available at: <http://www.legislation.gov.uk/ukpga/2016/15/pdfs/ukpga_20160015_en.pdf>. Wrigley, C., 2012. British Trade Unions Since 1933. Cambridge: Cambridge University Press. "Trade Union Act of 2016 Essay." Aceyourpaper.com. Student Network Resources Inc, 5 May. 2017. Web. 18 April 2019. Student Network Resources Inc. "Trade Union Act of 2016 Essay." Aceyourpaper.com. 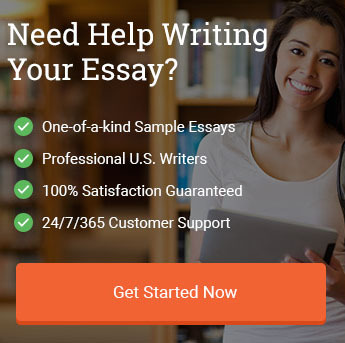 https://www.aceyourpaper.com/essay/trade-union-act-2016-essay/ (accessed April 18, 2019).